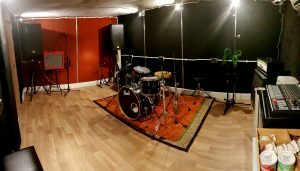 Brockley Studios is a small family run music production and rehearsal facility based in Brockley, South East London. We have 4 live rooms and a control room. Originally setup in ’97 as a recording studio, Dave took over ownership from his dad in 2005 and created additional spaces giving more space for rehearsals as well as recording. Our main focus is providing clean, comfortable rooms with a high level of personal customer services. We’re musicians ourselves so have a good understanding of what is needed for a productive rehearsal or recording session. All the rooms have air conditioning, computer, stocked fridge, internet access and full backline ready for your use. There is a garden with seating for some fresh air – or smokers. Tea, Coffee and snacks are available as well. You can book by phone, email, text or whatsapp. 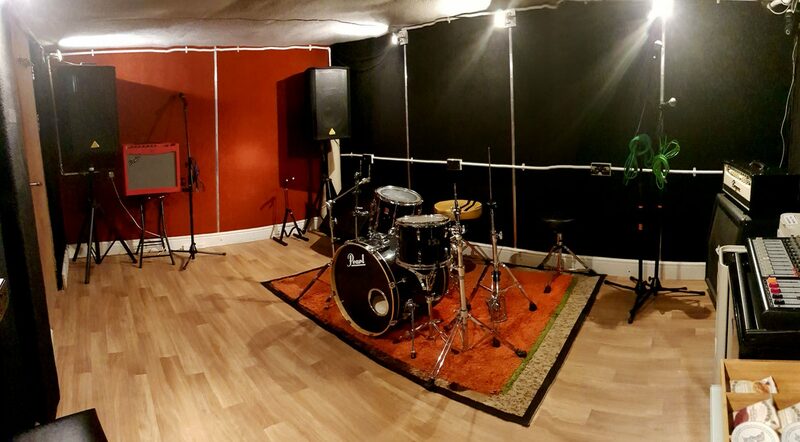 We’ll have a brief chat to ensures that we both have all the relevant information we need to make your rehearsal or recording session as successful as possible. As much as we would like to book everyone that contacts us, we are very much of the mind that we will only book you in if we feel we can best suit your needs. There is no point us booking in 10 piece orchestra or a thrash metal band with a 9 piece drum kit as we simply would not be able accommodate them comfortably. Studios A & B hold up to 6 people comfortably. Any more than that and the room’s get a bit too crowded for a productive session. Studio D is will hold 4 comfortably. Studio C is best used by 3 or less – although some 4 piece bands really do like it in there. The booking process is quite straight forward. Pick your preferred time and day, maybe have a backup time and day just in case, give us a call and we’ll go from there. Remember that we’re open 10am till 10pm on weekdays, 10am-6pm on Saturdays and 11am-9pm on Sundays. We will require your full name, mobile number and postal address for the system to confirm your booking. This is simply an insurance and legal requirement and we won’t be visiting or spamming you with mail. Without these details bookings can not proceed.